Jerusalem Mayor hosts the leaders of the communities and religions and representatives of the diplomatic corps in the city. Jerusalem Mayor Nir Barkat on Thursday evening hosted the leaders of the religious communities in Jerusalem and the representatives of the diplomatic corps in the city on the occasion of the New Year, 2018. The event has been held annually for more than 30 years, and this year for the first time it was attended by U.S. Ambassador to Israel David Friedman, who expressed his unreserved support for Israel and once again reiterated his country’s recognition of Jerusalem as the capital of Israel. 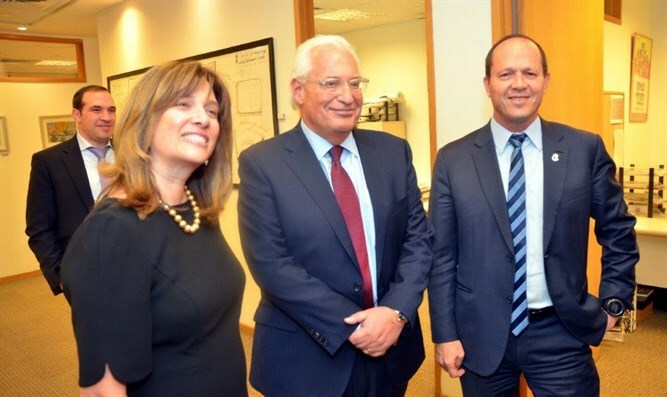 "We maintain the vision of Jerusalem every day - to be a place to which every person in the world looks up with prayer and pride, as an international city that is open to everyone," Barkat continued. "As we all know, Jerusalem is the capital of Israel, and it is a great honor for me to be the first ambassador to serve in Israel after the announcement of President Trump. We are working to move the American Embassy to Jerusalem by the end of next year, if not earlier. Next year in Jerusalem,” the ambassador added.